With all in my family having our own phones, it's easy to misplace my phone charger, cables and earphone or grab someone else's. Also this is a problem when I am staying and travelling with friends especially when we have the same type of phone. Since this is probably one of the easiest and prettiest life hack I've learned, I thought of sharing it with you guys. Hehe. Mark your stuff! ;P - say no more to 'who took my charger?' use washi tape to 'mark' things that can be easily mixed up. This project literally took me all of 5 minutes. So quick and easy peasy. 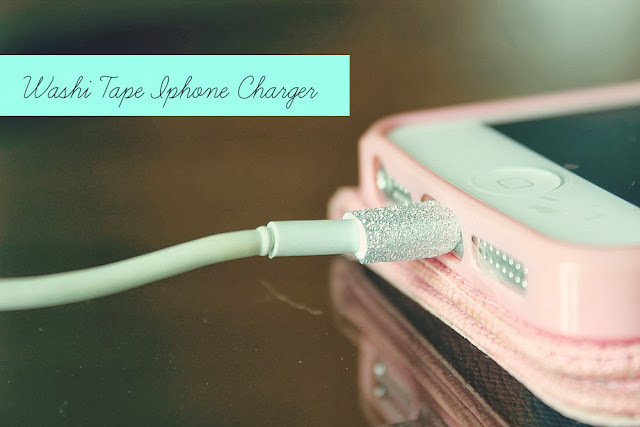 All you need are washi tape, scissor and mod podge (optional) to seal everything in place. It's not that hard to find washi tape in Malaysia (or sometime they called it decorative tape). MR. D.I.Y shop sells it for RM3.30 each. They also offer regular tapes which are (actually) so kawaii, that come with 5 per packet for RM1.20. 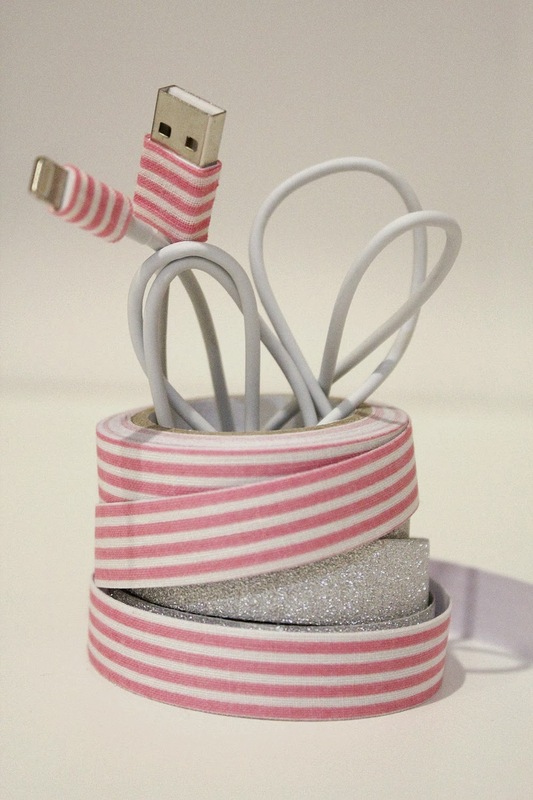 These are an alternative if you can't find washi tape near you. 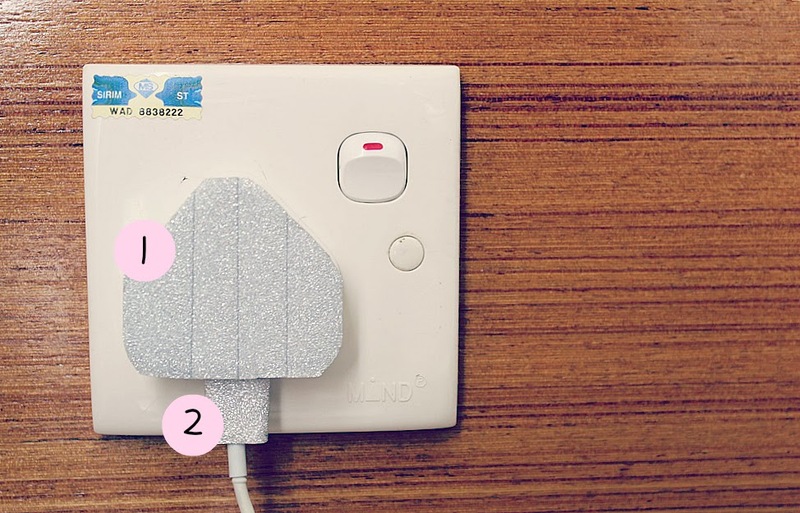 The adhesive part of washi tape is not that strong, it will come of quickly when you remove it, so it won't ruin the phone charger. Anyway, I wrapped the tape around my adapter. 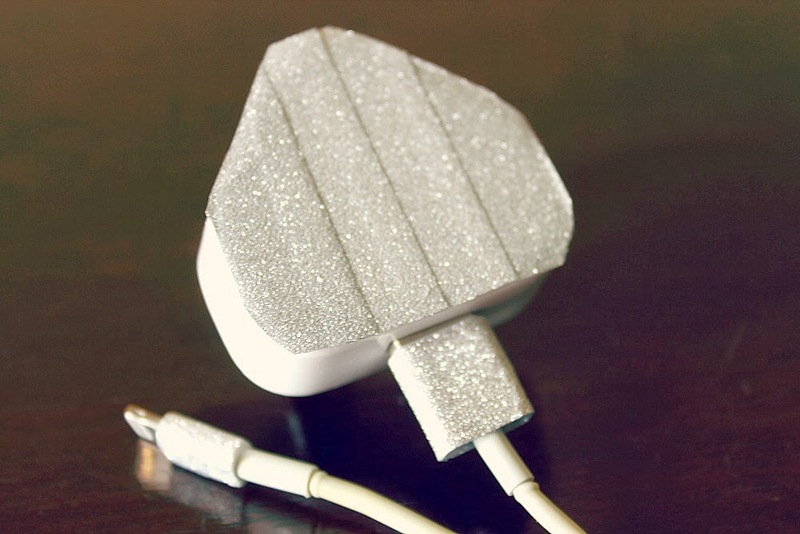 For the head of charger? whatever you called it, I placed just on the top of it without wrapping both sides, but you can always do that, I find it more neat. I sealed my washi tape with mod podge, but just remember that if you're using it or any pva glue which usually have a matte finish, your glitters will be washed out a bit. You can see the different in my picture above (1,2). Have fun playing with washi tapes!